Reaction Engines Ltd, one of the larger tenant companies on the Culham site, last week celebrated a notable milestone – their 100th employee. The high tech company, founded in 1989, which is developing the ground breaking SABRE air breathing rocket engine that will enable aircraft to operate at hypersonic speeds and/or direct access to low earth orbit, has been based at Culham since 2001. Their growth has been remarkable – when the company first started out they employed just a handful of people in Culham’s innovation centre. Now occupying much larger premises in buildings F5, E1, E4, E5 and E6, with a jet engine test rig to the north of site, the workforce has been steadily increasing. “I am delighted to celebrate our 100th employee – which is direct evidence of our growth and success. 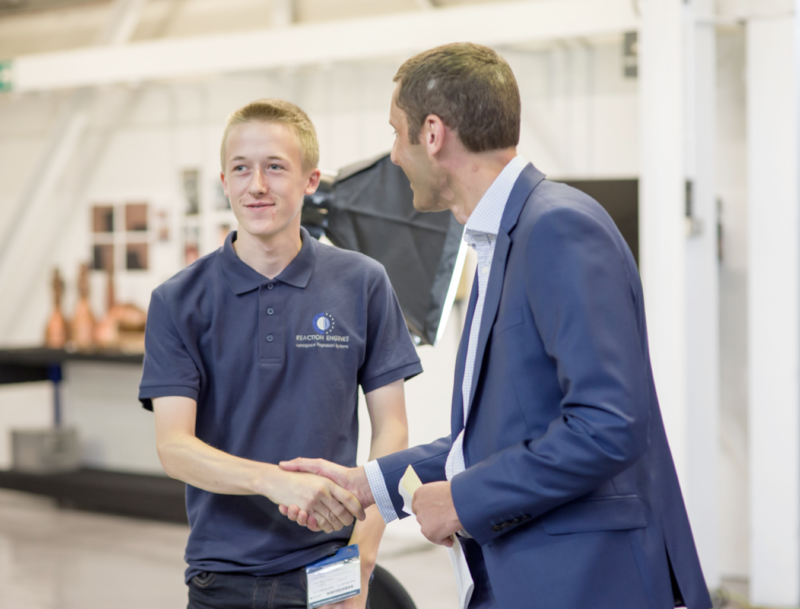 The fact that it is an apprentice – which fits so well with the growth in training and skills agenda of UKAEA – makes this an especially special moment “.